Information available to Adomonline.com indicates that, embattled businessman, Nana Appiah Mensah popularly known as NAM 1 will be brought back to Ghana on Thursday, January 17, 2019. According to sources, the government delegation in Dubai have reached an agreement with the Emirati authorities for his release. A high powered government delegation went to Dubai to press for the extradition of Chief Executive Officer of Menzgold, NAM 1. Nana Appiah Mensah is also wanted for defrauding by false pretense and an allegation of money laundering after his company failed to pay customers investments. Therefore, aggrieved customers can now heave a sigh of relief after the source in Dubai told Ekosii Sen host, Osei Bonsu government has been able to strike a deal with the government of the Emirates to bring NAM 1 to Ghana to face justice. It has emerged that Ghana’s most wanted man, Nana Appiah Mensah, has been in the custody of Dubai police for at least one month. This is even before an Accra Circuit Court issued a warrant for his arrest January 9, 2019 and also alerted Interpol which has presence in 194 countries. Nana Appiah Mensah is wanted for defrauding by false pretence and alleged money laundering. This was after his company Menzgold failed to pay thousands of clients’ returns on their investments. There has been agitation from clients since September 2018 when the Securities and Exchange Commission ordered his company to shut down its so-called gold trading operation. At Menzgold, clients buy what is now known as fake gold from another company owned by the embattled businessman, Brew Consult and deposit the collectibles with Menzgold. The emboldened description of the once-glamorous brand has set frightened customers fearing their investments have gone down the drain. State security arrested Nana Appiah Mensah or popularly, NAM1. But even this arrest was not known until news of his escape broke last week. 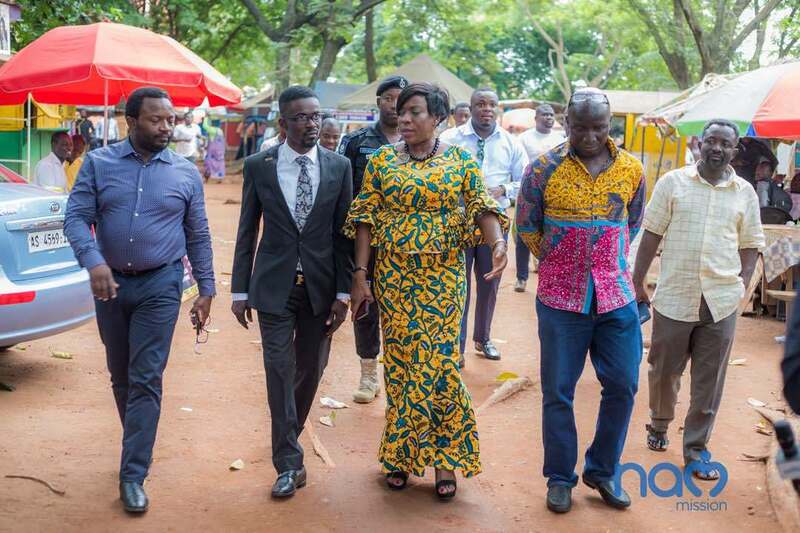 NAM1 was on a self-recognizance bail but still managed to elude security to travel to Dubai – a feat that has fed fledging conspiracy theories. The arrest in the United Arab Emirates, a member of Interpol, is however for a different incident albeit the same gold-trading business. It is alleged the socialite and high-flying businessman was engaged in a “business gone bad” in Dubai. In essence, NAM1 has also been linked to a criminal offence in another jurisdiction. If UAE authorities are to press charges, NAM1 may not come to Ghana to face the law. The government is expected to push for the release of the 34-year old Ghanaian. According to the police statement, Ghanaian officials have paid the suspect a visit in Dubai. But the statement makes no comment about whether the visit was before the warrant was issued or after.